From Stephen R. Covey’s eldest son come a revolutionary book, now in handy B-format, that will guide business leaders, public figures and their organizations towards unprecedented productivity and satisfaction. Trust, says Stephen M. R. Covey, is the very basis of the 21st century’s global economy, but its power is generally overlooked and misunderstood. 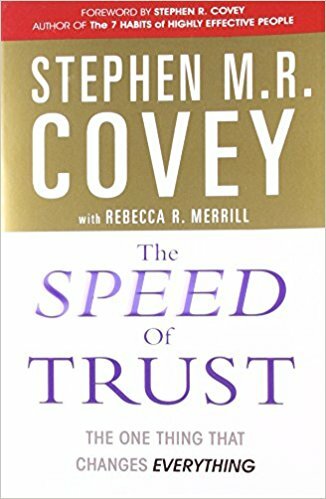 Covey shows you how to inspire immediate trust in everyone you encounter – colleagues, constituents, the marketplace – allowing you to forego the time-killing and energy-draining check and balance bureaucracies that are so often relied upon in lieu of actual trust.